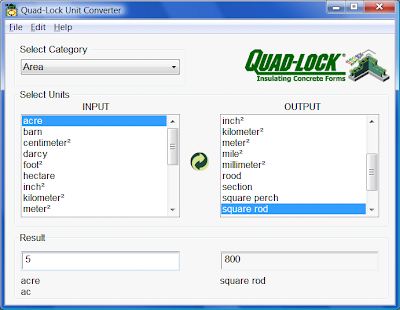 Unit Converter is a freeware tool that can take care of all your unit conversions even when offline. It contains more than 1000 units of measurement commonly encountered while solving engineering or everyday conversion problems. Its features include a function to quickly find units, support for adding custom units, and a smart input box that evaluates calculations & complex expressions. 1. Simple, clean and user-friendly interface makes the learning curve non-existent, even for inexperienced computer users. 2. Fast and time efficient. There is no need for an installation package, no splash screen, and no buttons to push. The program is launched in less than a second, and conversions are performed instantly while you type the input. A Find function lets you search for your units within seconds. 3. Small file size (252 kB) compared to the norm of 5-10 MB setup packages. The smaller file size makes it easy to distribute among friends and co-workers. 4. The program can be run from a USB drive as a completely portable application, without leaving any personal data or registry settings behind.